Greetings, Friends of Miedlena Records. It has been a while since the last newsletter, and I must offer a blanket apology to you all for the dearth of updates. For a number of reasons, my schedule has not been entirely mine for the making lately. This picture is all I will say about it for now. Miedlena is going to release the latest Manhattan Murder Mystery album. Backstory: Gibbons and I had just befriended Matthew Teardrop (the driving force of MMM) back when we started Miedlena Records. At the time, Miedlena wasn't much more than an idea, and while we thought it would be great to work with MMM in some way, we had neither the knowledge nor the blind courage to take on something so monumental. In the years since, Gibbons and I ended up joining our favorite band, as we are far better musicans than we are media moguls. Meanwhile, Miedlena managed to become something slightly more than just a goofy idea. Also, MMM recorded an album and went through the ringer with two other potential labels. The first label turned out to not really know what they were doing, and after a year of mucking about they eventually admitted as such and thankfully let us go. Shortly after that, a little dejected, I happened to meet a man well-connected in the business of rock and roll, who expressed a sincere interest in the band. We gave him some time, and after that time was spent we decided to go ahead and release the album ourselves. It has eight songs on it, runs about 40 minutes, and is entitled: “Dumb”. Here is the cover art, by Colin Ambulance. In the past, a Miedlena release has been mostly an online affair, focused on documentation and little more. It costs very little to do this, and takes maybe twenty hours of computer work. For “Dumb”, however, we must print on vinyl. 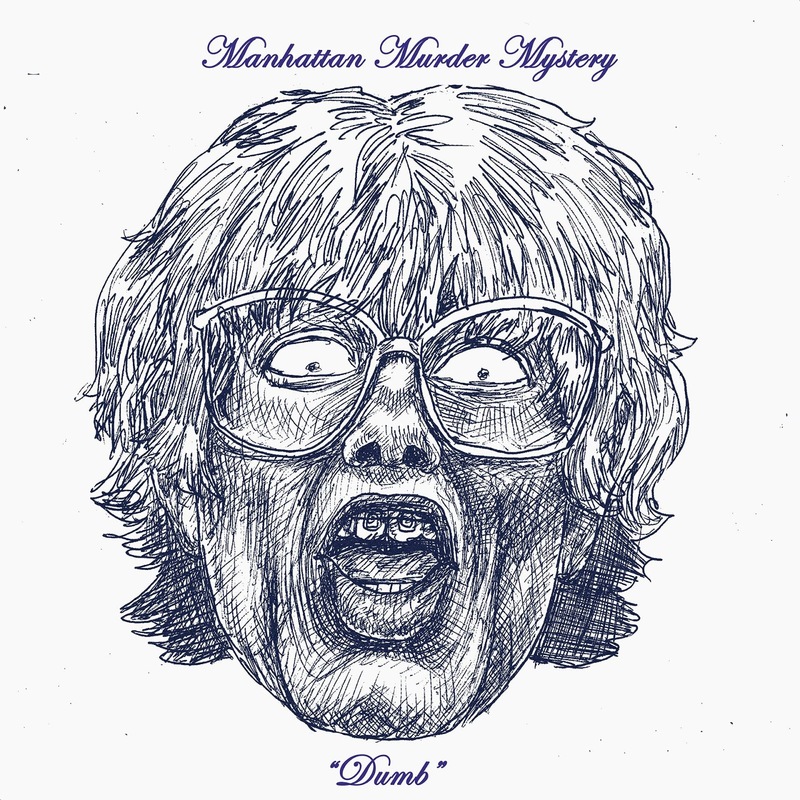 Manhattan Murder Mystery is a monumental band, and vinyl is a monumental medium. It is a media platform that refuses to die. Those who love it, love it so dearly that it simply cannot do anything but continue to be relevant. Unlike digital publishing, however, vinyl printing takes a lot of time and a lot of money. So, step one for "Dumb" is to design and carry out a vinyl pre-sale. The next email you get from me will probably include a link to some kind of fundraising campaign. Fair warning. I’m going to end this particular missive with a link. It will take you to a review of the one release already published from the forthcoming album. There is a short little paragraph for you to read, and a music video for you to watch. Enjoy. New to the list? Read past newsletters here. P.S. Gibbons says "Hi", from Taos, New Mexico, where he is flexing his song-spinning and guitar-jangling for the American Southwest. Short and sweet this month. Here we go. Today, in a few short hours, Manhattan Murder Mystery will be performing live on KXLU at 7 pm, from Timewarp Records in Venice. Come watch us there, tune in on the radio (88.9 FM), or listen on the internet. Or don't do any of those things. I can't make you do anything. Lots of people bought in to the Gibbons and the Sluts, Live at Biko Garage publishing campaign. In about a week that album will start to appear on your favorite internet services, and I'll be putting copies in the mail to those that bought in. Thanks, y'all! Remember the most recent Mateo Katsu record, Fourteen Weeks? Well, I'm done promoting it, and here is the last bit of press it got. Did you know that there is a second part to that album? Well there is. You see, back in 2013 I embarked on a 23 week long project in which I wrote and recorded a new song every week. Fourteen Weeks is part one, and part two will be coming online later this month. It bears the very creative title, "Nine Weeks." Ok that's it. I hope this message finds you well. Keep up the good work. February Newsletter - Gibbons and the Sluts Live! The main thing I want to pull on your ear about is this: Recently, deep in the depths of my computer, I found a dusty old recording that has not been heard by as many ears as it should. Gibbons and the Sluts, live at the Biko Garage in Santa Barbara. It was the second to last show of a West Coast tour. After playing night after night for so many nights, the band was sounding pretty tight. I don't know who recorded it, nor how I happened to receive the recording. The important thing is that I have it, and it needs to be released. In addition to the band being in top form, it has a handful of songs on it that have never been published. One of those songs is “Coyote”, which people friggin' love. Another one is "Unicorn" which I personally friggin' love, and so does Greg. So here is the deal. If I can get 10 people to send me 10 bucks, I can put the record on the internet forever, or until the internet goes away. Whichever comes first. If you pitch in then you will get a hand made CD copy of the album, and a manufactured copy of the first and only Gibbons and the Sluts studio release “Mama's Milk”, (if you don't have one already). Maybe something else, too. Depending on what I have laying around. This link will take you to paypal, where you can use your paypal account or just pay with a credit card. Whichever. Be sure to include a mailing address where I can send the CDs. The latest Mateo Katsu record has gotten a few more shares from music blogs. The Matthew Teardrop Orchestra played a bar-raising set at Lot 1 in Echo Park. The Nashville Brothers executed a successful run to Bakersfield. Upcoming shows include a Circus of Books set at Lot 1 on February 10, and a performance on the Matthew Teardrop Show February 12. Manhattan Murder Mystery will be appearing on KXLU's "Demolisten", live at Timewarp Records on March 3rd. I probably won't have the March newsletter out before then, so there that is. By the way, V.B. Kates is my dad. We were talking about this newsletter when he crafted the above quote. I said I would include it in the next email, so there it is. P.S. Gibbons and I revived our rarely-seen two-piece act Russians With Rabbits last weekend. We nailed it. You wish you were there. Coincidentally, we found an old unpublished Russians With Rabbits tape, and published it. Find it here. A long time ago, this guy named Greg wrote about a Gibbons and the Sluts show that he saw on his wonderful blog, The 704. The blog is now private, but thankfully I am weird and saved the entry on my personal computer. Here is his wonderfully written review of a Gibbons and the Sluts show at the Smell on August 2nd, 2012. Gibbons and the Sluts, playing unplugged save for a sporadically utilized microphone, opened with one of the most perplexingly incisive statements I had ever witnessed, a repeated seven word incantation that, by design or by instinct, dissected about half of what it feels like to be human. "I was born," Gibbons sang in his pleading, nasal wail, "to be your unicorn. I was born to be your unicorn." Filled out by Gibbons' banjo and his driving band of sluts--drums and upright bass, plaintive accordion and trumpet--the song, with miraculous brevity and rhythmic force, seemed to encapsulate human desire in all its hopeless desperation. Whether you're a pining suitor or an artist addressing an audience, all the excess verbiage you produce can be reduced to, "I was born to be your unicorn." Revealing yourself in any situation--declaring your love, opening a rock and roll set to any audience, be it devoted or skeptical--you are saying, in effect, that you are something beautiful, and something rare, and nothing ordinary. Most of us fail and disappoint, never living up to our promise, revealing ourselves to have been born to be something else entirely. Perhaps that's even the case for all of us; I've never seen a unicorn. But there's an overwhelming beauty and humanity in the proclamation itself, and its insistence: "I was born to be your unicorn." Or maybe it's just a song about a unicorn. What came next were joyous songs, but it was a hard-won, wise joy, never easy and never cloying. Much of the feeling was contained in the rambunctious racket the band produced and the evident pleasure with which Gibbons' voice filled the room, with or without amplification, with lyrics full of surreal leaps and bluesy repetition. The accordionist played a crucial role in every song, harnessing her instrument's full potential for both triumph and melancholy in ways I'd never heard or imagined. And what songs they were--two minute bursts of exhilarating folk-punk flights and dreambound sea shanties. The closing number--which, while I've been wrong before, I'm pretty sure is about how you shouldn't let little things get you down and should instead focus on good things--managed to skirt the self-help uplift of its content through the immensity of its form. It lasted so defiantly long--by the end, most of the band had gotten bored and left the room--that the pervasive, tedious difficulty of the reality behind the song's straightforward advice was almost tangibly evident. "Don't let the little things get you down," Gibbons demanded, over and over and over and over, "because they're not good. You gotta be thinkin' 'bout the good things. Don't let the little things get you down. Because they're not good. You gotta be thinkin' 'bout the good things." Okay. It's worth a shot. Me and some of the guys in Santa Youth have a problem. We always fall in love. Constantly. I bring this up because, very early in the tour last month, we realized that something was different. This would be the tour that we would turn the tables, and people would start falling in love with us for a change. We played so good. Every show. Sure, there were sloppy moments, but Santa Youth was founded on sloppy moments. Back in the Winter of 2011, the band was merely a brainchild of the Reverend Joe H. Borfo, who quickly abandoned the group as an active member in order to father actual human children. Over the course of five Winters (and one Spring in Texas), Santa Youth came to reflect not only the efforts of its members, but of the community from which we sprang. Like all good things should, however, it has come to an end. This past New Year's Eve we played our last show, and I want to extend my sincerest thanks to those who have contributed their efforts to the group. We truly could not have done it without you. "And to all a good night." In other news, Matthew Teardrop has a talk show. The Nashville Brothers played on the pilot. Mateo Katsu is going to play the next one. The Matthew Teardrop Orchestra has been playing shows again and is sounding AMAZING. This blog has continued to be supportive of Mateo Katsu releases. Check them out if you like music blogs. P.S. There are still Santa Youth CDs and tapes available via mail order here. There are shirts, too. Send me an email for size and color availability if you want one. 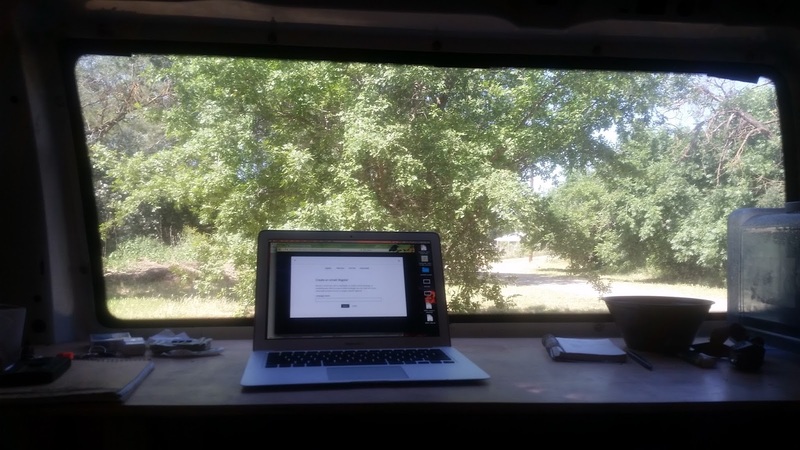 Last month I didn't really feel like writing a newsletter, but I toughed it out and wrote it and sent it. I read it over later and realized that it was kind of a bummer of a newsletter. It got a pretty good response, though. People wrote back and said hi, or purchased music, or talked to me about things I wrote in there when I saw them at shows. The only real downside was that it got my dad worried to the point that he had to call me up to make sure I was feeling ok. Sorry about that, dad. Anyway, this one won't be a bummer. There is a ton of stuff going on that I am excited to write about, so much so that this is either going to be unusually long, or frustratingly short. Let's get started and see what happens. As you might know, legendary poet/singer/songwriter Leonard Cohen passed away recently. Miedlena co-founder Gibbons organized a tribute show at the Church of F.U.N. to honor the man and spread his legacy to the uninitiated. There were Seventeen (SEVENTEEN!) acts on the bill, each playing one or two songs by the master. The biggest surprise of the show, to me, was that it actually ran on time. The less surprising part was that the performances were truly amazing, almost without exception. There are a lot of super talented people in this little world of ourse. The room was packed all night, and the audience was quiet as a mouse or loud as thunder, depending on the demands of the performer. Thanks to all involved. “One Day I'll Be Your Ears,” the first single from the Mateo Katsu album Fourteen Weeks, has been picked up by Independent Clauses, and Yab-Yum. One more blog will be reviewing it soon, but they haven't published yet. It feels good when strangers share and write about this music stuff. 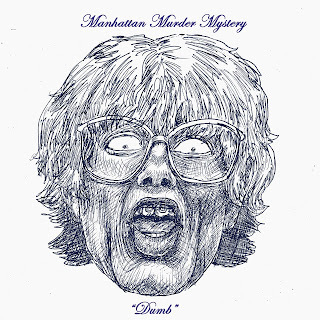 The bad news: The label that was going to release the new Manhattan Murder Mystery album isn't going to do it anymore. The challenging news: We financial know-nothings at Miedlena Records have to figure out how to raise a bunch of money for a big time rock and roll album. Wish us luck. There is more going on than what I've written, of course, but the things you've read were the easiest to write about. Generally, everybody is just doing really great work right now. All the bands are sounding better than ever, and people are making great strides in all directions. Yeah, that band still exists. Merry Christmas, blah blah blah. See you in January. I am pretty bad at business, and it isn't something I've ever aspired to be good at, either. The only reason Miedlena exists, really, is because these days in the music business you kind of have to do all the business stuff for yourself, unless you are incredibly lucky and/or incredibly talented. So far, I am about average as far as luck goes. Same with talent, and that probably won't change all that much. Miedlena is pretty much a way to widen my luck-net. I've got a mountain of emails I need to write on account of the fact that another one of my albums is being released today. Here it is on bandcamp. I'm not very excited about the mountain of emails, but it does feel nice to know that the album is officially out in the world. Hopefully I can get through them pretty fast, because as soon as that's done I can get back to a recording project I'm working on with Gibbons. That, I am very excited about. Oh and one more thing, the Miedlena showcase out at the Palms went pretty much perfect. I was kind of surprised. Thanks to all involved. November 11: Circle of Books @ The Church of F.U.N.